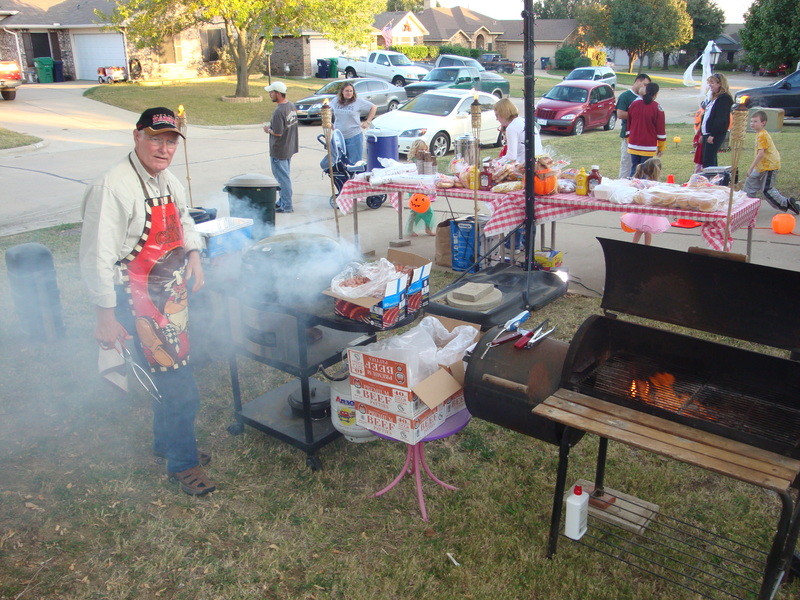 It’s that time of year again… Time to grill up some HALLOWEENies & BOOgers! 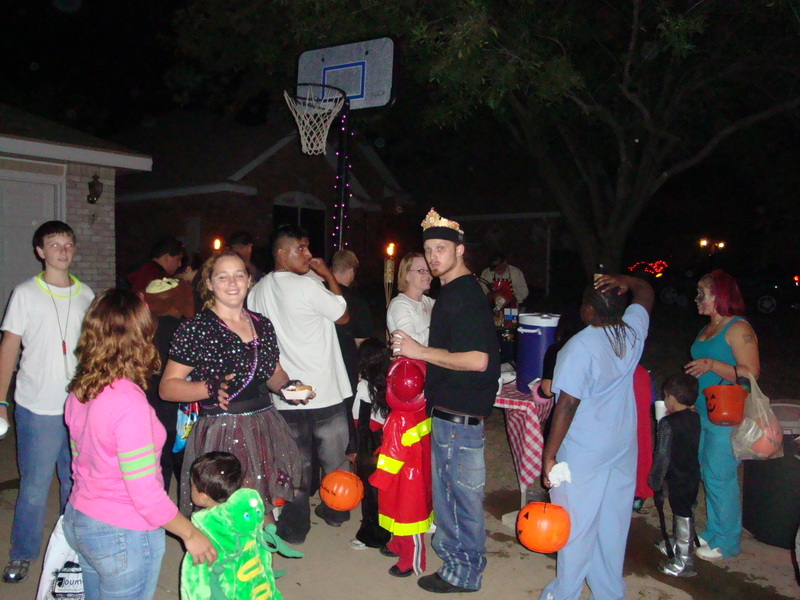 Inspired by one of my mentors back in Denton, TX (Brent Bowen), HALLOWEENies & BOOgers is a chance to have some fun on Halloween with my family, meet & bless the neighborhood around me, and be a light for Christ in our community at the same time. 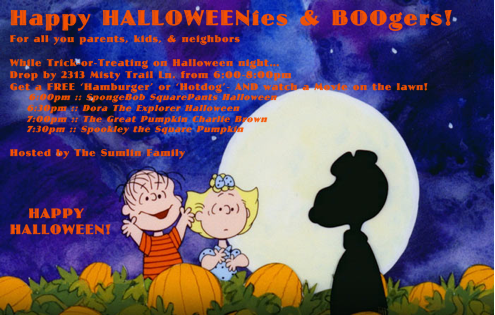 For the past 7 year’s, my family and I have been celebrating Halloween by hosting this event on Halloween night- and it’s been a ton of fun to put on! Now after hosting in Denton & Fresno, we get the opportunity to do it here in Flower Mound! Here’s how we roll… First, we invite all the neighbors around us to come on by for some free food on Halloween night (using the invite above). 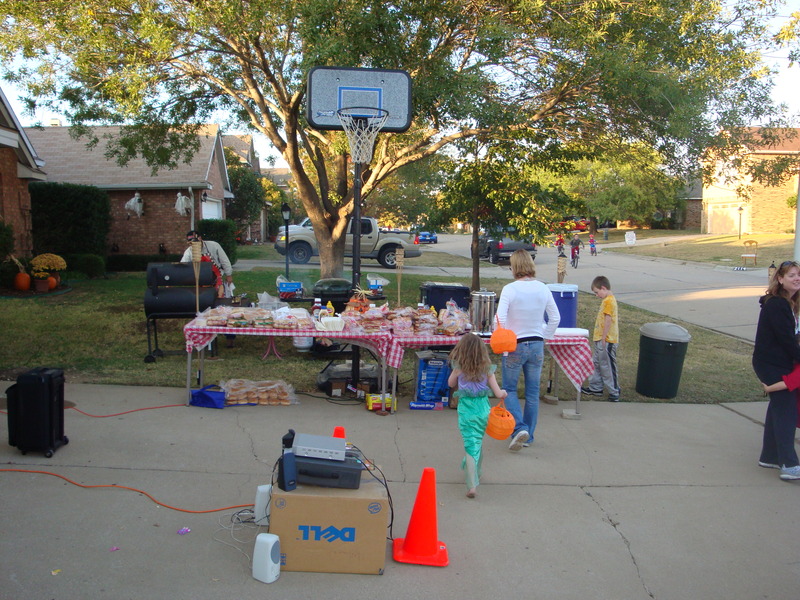 Over the past few years we’ve averaged over 300 trick-or-treaters, cooking up just as many burgers and hot dogs. Meanwhile we’re showing “The Great Pumpkin Charlie Brown” on our garage door (see below) & passing out bushels of candy (the good stuff!). So there’s just another idea for your arsenal, if you’re interested. If you happen to live in a neighborhood that isn’t very active for this kind of thing, you’re welcome to come help out at the Sumlin household this Halloween! ~ by Shea Sumlin on October 11, 2011. WOW, what a PHENOMENAL idea! I have NEVER heard of anyone going this extra mile before on this “holiday”! What a twist on actively desiring community and “making” it happen! I think what you are doing is fantastic, really love the idea. As young first-time parents, we are currently talking through what Halloween looks like for us. I know people fall into different camps based on a host of things, but would love to get your thoughts about how you protect your kids from the “dark” side of Halloween? 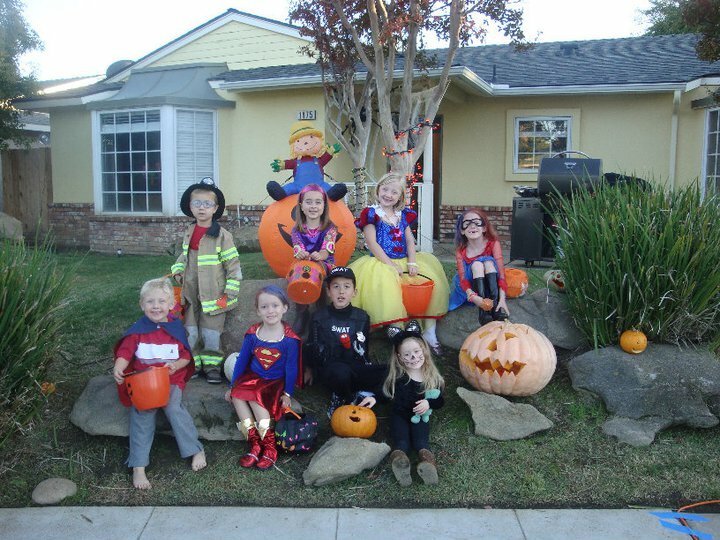 Whether it’s knuckleheads in your neighborhood who are out to simply scare and put fear into young kids, or cemetery decorations meant to scare people in someone’s yard, how do you protect your kids from these things? Thanks again. What a great idea Shane! I remember you from back in the college life days and found your blog through laurie cuchins! I’m going to talk to my hubby about this idea! Such a great one :] Hope all is well! thanks for blessing me during my college days! I am so grateful for all that college life did for me while i was at North Texas, and pray for the ministry to this day! I see that you’re having a lot of fun & meeting new people but I guess my question is, other than the cross on the pumpkin, where is Christ in this? How is it different than the way the world celebrates Halloween? Jill, the redemptive nature of the Gospel in this event, isn’t found (for us) in carving a cross in our pumpkin or handing out some tract or something- Christ is found in our intentional effort to use this holiday to engage our neighborhood, open doors of conversation, and share the good news of Jesus Christ with those that we get the opportunity with. This is a night where my entire community is walking around on my street and knocking on my door. Rather than locking that door, turning off our lights, and heading down the street to the local Trunk or Treat- I want to be present and visible in my neighborhood, providing an opportunity for my neighbors to come over and linger for a while- and then taking advantage of that opportunity to get to know names, listen to stories, share my own, schedule future dinners, and share the joy I have in Christ that would lead me to do such a thing on Halloween night. That’s where Christ is found- and any chance I get, I want to make much of Him. And yes, I actually enjoy the night. I enjoy grilling out, enjoy seeing our kids dress up, enjoy meeting new neighbors who might not otherwise ever come out of their house, and enjoy borrowing the ‘good’ from a cultural tradition in order to make bridges to a greater Gospel end. When it comes to cultural contextualization, there are some things you need to flat out “reject”, some things you need to “adapt”, and some things you can simply “adopt”. What makes this different from the world is us & Christ in us. 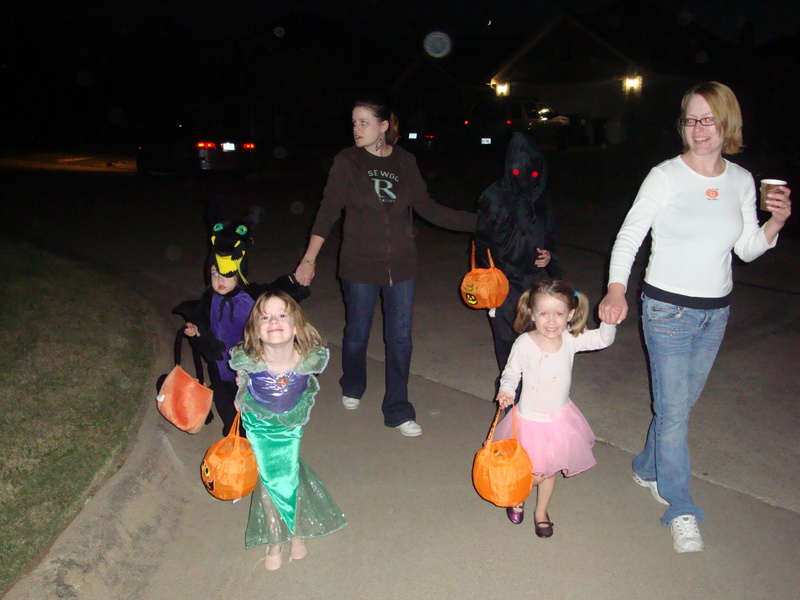 There is nothing inherently wrong with dressing up in fun costumes, trick-or-treating for candy at people’s doors, etc… Those things we can easily adopt as believers. But there are many things we flat our reject that night. We don’t dress in gore, don’t put anything evil in our yard, glorify the demonic, etc… We show the neighborhood a better way to use this night. And when it’s all said and done, we have the unspeakable privilege of adapting much of what our culture does on this night to engage and be a salt and a light to others. Taylor, great question. Without a doubt, anytime you enter into the world around us, there are challenges… especially on a night like Halloween. No doubt for every 5 Disney princesses that come to our door, there’s a teen dressed in some blood-soaked gore costume that comes as well. And no doubt my three little daughter’s see them around. We do our best to guard their little eyes and ears, but we are also very intentional at teaching our girls how the world uses this night- and how Christ has called our family to use it. We teach them that at times, they will see ugly things or even scary costumes- but that those people need Jesus and we have an opportunity to love them. Where it crosses serious lines, we turn them away and are proactive in protecting them. But truthfully, in 7 years of doing this, we’ve never had a major issue. At a young age, our girls have learned a ton about what it means to be in the world, but not of it. Zipper! Great to hear from you again! Deeply thankful for the ministry we all got to experience in College Life. Take care! I am very appreciative of your heart for the Gospel. This post has served as a good perspective on trying to redeem a sinful and lost culture. I am a new Daddy and my wife and I are trying to work through the details of what it looks like for our family to be salt and light in every environment God puts us in… including Halloween. To be honest, I am not a big fan of Halloween but I am truly seeking Godly council from many people to make sure that I don’t make decisions for my family without the wisdom of many counselors. Having said that, I hope it is okay with you if I ask you some pretty direct questions and I would love to hear your answers if you have time to write me back. This is in no way bashing what you do, but it is me trying to wrap my head around this whole thing. Thanks. 1. 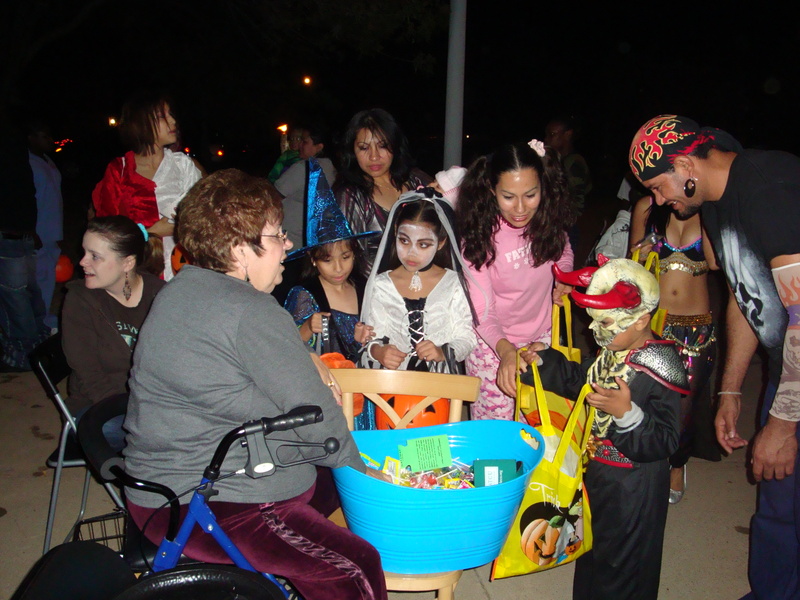 You are stating in this post that Halloween is a great opportunity for you to “reach your neighbors” and build relationships with them. In other words, Halloween is part of your evangelical strategy for reaching your neighborhood. That is great, but my question is what are you doing to reach your neighborhood the other 364 days of the year? Surely Halloween is not the only time you are trying to reach your neighbors with the Gospel of Jesus. The reason I am asking this is because I have seen a lot of Christians label Halloween as an “evangelical” outreach to their neighbors when it is really just the excuse they use so they can participate in Halloween as a Christian. You and I both know that providing a “hangout” on Halloween as not really evangelism. Would love to get your thoughts on this. 2. How effective is this strategy? How many people have you seen come to faith, be baptized and join a church as a result of your participation in Halloween? I work at a large, non-denominational church as a Student Pastor in Charlotte, NC and I know that if we do an evangelical event or outreach event we always evaluate it and see if it is worth the effort. If we are doing something that is bearing no fruit for the Gospel, we dont keep doing it. I would love to know if this “event” has been one that you feel should be repeated by you and your family and if you should really be encouraging others to do so as well. 3. 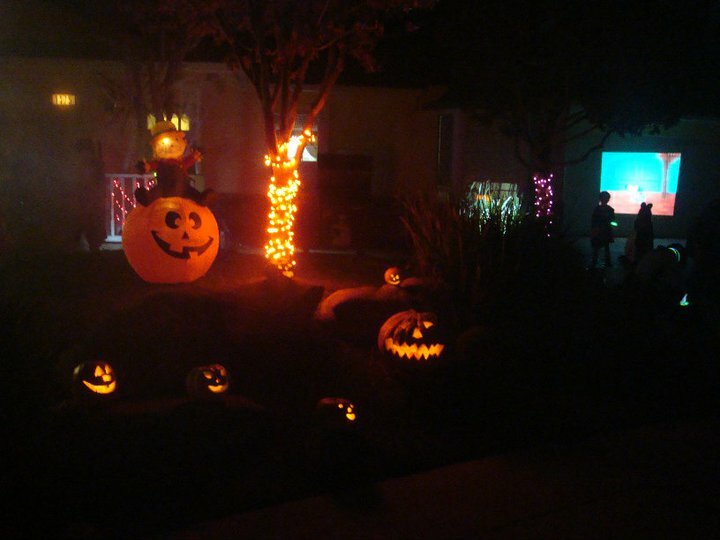 What is your follow up strategy with the people who come to your house for Halloween? I know you said that future dinners are part of what you would like to see come out of this, but for the average person reading this blog, I doubt they know much about how to implement a good follow-up strategy and how to share the Gospel with their neighbors. I think this would be helpful for the average person to be able to really minister to people AFTER October 31st is over. 4. Other than “loving on them” what are you doing specifically to be a “light for Christ” at this get together. Dont get me wrong… I think this would be a blast… food, fellowship, movie on the garage, etc. Tons of fun… I just want to make sure that we distinguish a get-together from “being a light for Christ.” To be a light, there has to be intentionality. It is fine to simply say that there is nothing specific AT the party, but the goal is the follow-up AFTER the party. That is TOTALLY legit, but I would love to know how this plays out for you guys. I am sure you are super busy and I just wrote the longest comment in the history of blogs, but if you have time answer each of those questions, It would really help me. Also, would you mind praying that the Holy Spirit would give me and my wife wisdom so that we might bear as much fruit for the Kingdom as possible. Thank you for the leadership you provide at the Village. I love your church and Pastor and I am encouraged to see all the God is doing in and through you guys. Keep it up! Peace man. 6. Since I am a Student Pastor, I influence a lot of students and families. As my wife and I try to find where we stand as a family on this issue I wanted to know how much my position should be taken into consideration. I am overseeing this flock of students and I want my influence to point them to Christ and Christ alone. 7. What do we do about the “weaker brother.” Just like drinking in public could cause others to stumble, I think celebrating Halloween could cause others to stumble as well. Should we be taking the weaker brother into consideration as we decide how we will celebrate or not celebrate Halloween? 8. Is it bad to look different than the world on this day? You’re right, Halloween is not my only way or even THE way (or even BEST way) in which I reach my neighborhood. 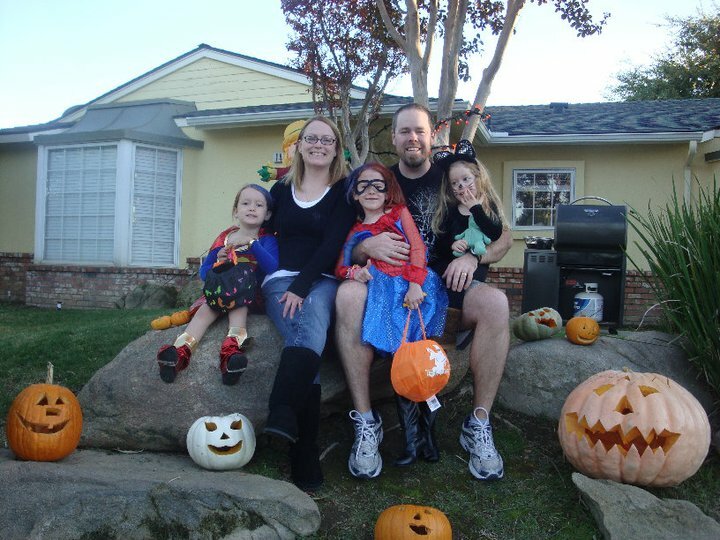 Halloween, for my family, is simply one way… ONE of 365 days we utilize to invest the Gospel into the community around us. And unlike others whom you mentioned, I don’t actually need an excuse to participate in Halloween. Truthfully, I actually enjoy the holiday… at least in the way that my family and I use the Holiday. I get that a lot of folks (& Hollywood) use the holiday in carnal ways that glorify sin and evil… but truthfully, for 80% of the families in my neighborhood, it’s just a day to dress the kids up in Disney or Pixar costumes, grab some candy from neighbors, grab a pumpkin from a local pumpkin patch, and have some fun together. Obviously for others, it’s a time to glorify everything ungodly. Regardless of the way they, or the Hollywood culture views this holiday, we enjoy taking advantage of it–and using it not only for fun, but also for greater Gospel ends. It just so happens to be one of the few days of the year- where the WHOLE community is outside on my street and coming to my door. So we simply use creative means to take advantage of the opportunity & redeem it. But there are many others ways throughout the year in which we connect, love on, serve, and impart the Gospel to our neighborhood (as I would hope any Christian vested in a local context would). To us, this is more than an “event” that we host for a “hangout” and then call it “evangelism.” It’s part of a normal rhythm for us in living out the Gospel in our suburban context. We’ll have dinners with our neighbors, play basketball with local kids, do yard work with our neighbors, invite them to church, be available to them when life’s wheels fall off, etc..- all as ways to better connect with them, build relationships, and ultimately share and model the love of Christ with those around us. Again, this isn’t the one night of the year we look forward to so we can do “proclomational evangelism,” check that box, and then do nothing else after that. It’s part of the natural Gospel-rhythm of our lives. But having said that, I don’t view this event as a “Crusade” or old school Baptist “Revival” either… I actually don’t have a problem with using this night as a “hangout”… (though your definition might be different than mine…) as long as it is an “intentional hang out.” If all we did was “hang out” every day of every year on my street, and I never shared the truth and love of Jesus Christ with my neighbors, then shame on me for my disobedience to the Great Commission. 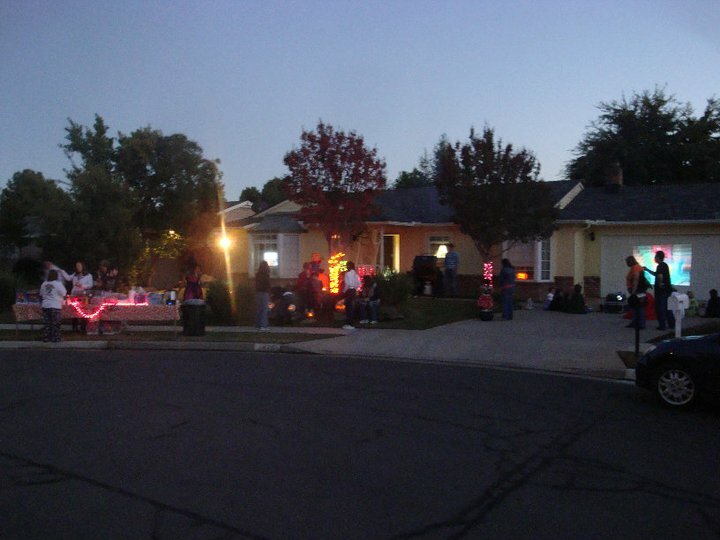 BUT, if one thinks that the only form of evangelism- or the only form of redeeming Halloween night for that matter– is to hand out tracts, do altar calls, light up a 30 ft cross in my yard, and hand out ‘Jesus Loves You’ stickers instead of candy… and that’s it… then shame on them for not caring about the individuals they’re with and investing deeper into their lives over the long haul. It’s not a loss for me if people don’t come to Christ at my door “that night” over a hamburger or hot dog (though I am praying fervently for it). But I’m ok with using this night as a springboard into more opportunities down the road for us… For instance, I just loved into the neighborhood I’m in 6 months ago. So I’m still getting to know neighbors. Plus, Texas just came out of 70 days over 100 degree weather, so nobody has been outside all summer (i.e.- not much connecting). But now the weather is changing, people are out, we’re getting to know more of them, and this opportunity comes at a great time to serve as a good excuse to get our neighbors over and spend time with them. So this year, it will be a HUGE win if we can learn names, schedule some dinners, exchange numbers, etc… So I’m ok with it… better than turning off my lights, shutting the curtains, and staying away from all that is going on outside. I WANT to be out there and connect with them. BUT, having said that, the Gospel is the air I breathe. It’s hard for me to have ANY conversations without pointing them to Christ and His redemptive work in my life. So I’m praying and looking forward to using this night (amongst the other 364) to point people to Christ. I get just as excited to take walks around my block as I do for Halloween- BOTH are opportunities to meet people & open doors of conversation for the Gospel. I’m always looking for ways to serve my neighbors. It’s been huge. 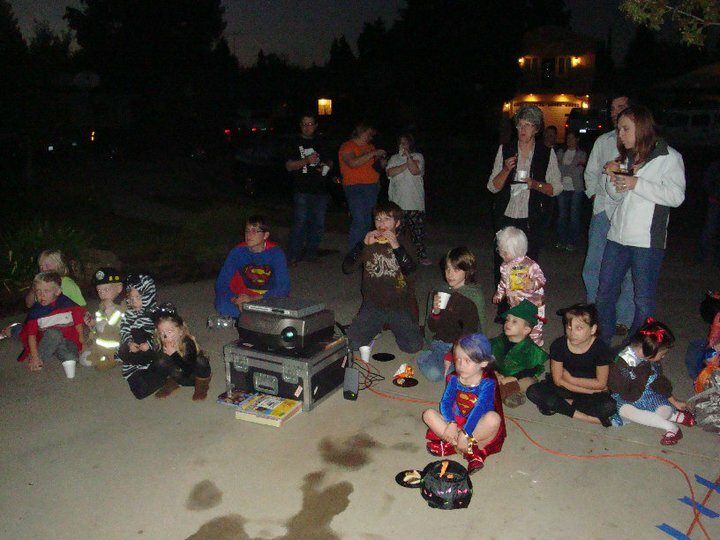 This will be my 7th year of celebrating Halloween like this. However, this is my first year in Flower Mound. The last two years were in Fresno, CA. But prior to that we were in Denton, TX. In Denton, we saw the most fruit, but that’s because we were there longer. Again, when you’re viewing Halloween as not just “one event” of the year, but rather one of many opportunities in the Gospel-rhythm of your life- you use this night with a long term perspective in mind, not just an isolated, flash-in-the-pan opportunity. But I can tell you that from this one night, we’ve been able to meet many neighbors that I wouldn’t have otherwise been able to meet (or at least, easily been able to meet), we’ve scheduled a number of dinners with neighbors from this night that we were able to establish friendships with, invest in, share Christ with, and take to church with us. We eventually saw one neighbor come to faith several months after- whom we had first met at our house that night. We’ve also had many other Christian in the neighborhoods around us, actually partner with us in following years- or were encouraged to host their own. Many of those neighbors ended up leading other neighbors to the Lord. And we’ve had countless opportunities to share Christ and even minister to folks with counseling needs during this night. So we’ve seen tons of fruit. Now we’ve never seen anyone come to Christ “that night” (at least not yet)- but again, we’re not viewing this as an end, but as a means to an end. It’s not a crusade or old school Baptist revival mentality with us handing out tracts, putting signs promoting ‘the Village’ in our yard, and running diagnostic E.E. surveys. I don’t condemn those who choose to do that by any means— in fact, I know several friends who do the same thing we do- but actually have the church formally sponsor all that they do and hand out tracts, etc… and that’s great… just not how we approach the opportunity. I don’t want this night to be a one-time evangelistic event hosted and paid for by the local church. I want this to be hosted by ‘The Sumlin family’… a strong Christian family who loves Jesus, genuinely cares for people in the neighborhood, and are always sharing and demonstrating the love they’ve found in Jesus Christ at every chance they get, finding ways to serve and bless the community around them- pointing people to the hope they have in Jesus. Bro, we take names. Every individual, couple, and family meet- we’re taking mental notes, even asking many if there is anything we can be praying for. We write the names down and pray for them as a family at the end of the night. When we meet new neighbors (as we no doubt will this year), we try and schedule a dinner or play date with them to get to know them better. For those we’re able to have explicit, Gospel-centered conversations with that night, we’ll get their information to help follow up with them- and implement ways in which we (or the local church) can come around them. But again, I’m not out there with a notepad and spiritual inventory survey… We’re Christians trying to invest long term in our community, getting to know people, establish relationships, and point to the hope that is in Jesus Christ. 300 people may stop by our house for a burger or dog that night… if we can walk away with some intentional conversations and connections with a handful of neighbors, those are the ones we want to drill down with in the coming weeks/months/years after. I personally don’t know how to host an isolated event and then walk away checking a box and that being ok. My entire Christian experience with the people around me is a series of follow-up encounters of evangelism and discipleship. My encouragement to others is simply to be intentional… reach out as a friend should. 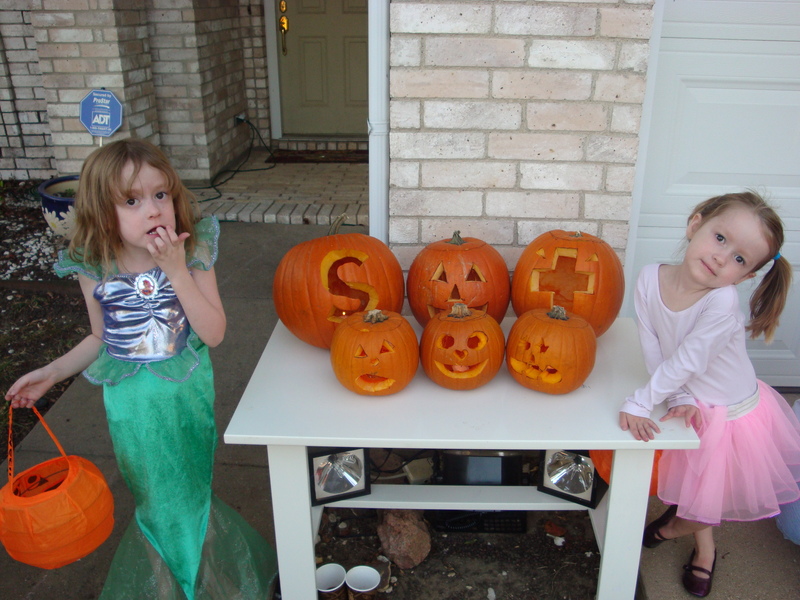 Do not view Halloween as a project… it’s an extension of relational interactions that should already be happening. When this is done in the context of where you live, follow up will happen every day that you see your neighbors in their yards, at the school bus stop, at your kids school, etc… I guarantee you that when the wheels of life fall off with our neighbors- and they will- we’ll be one of the first families on the block they think of to come ask for help. I love that. But be open about your faith. Be intentional. Don’t hide your light under a basket. But also be salt just as much as you are a light. Show your neighborhood that you’re dialed in and actually care for their lives. We take mental notes of needs that were mentioned by our neighbors in our conversations (financial problems, marital problems, house repairs, medical issues, etc…)- and we’ll use those to come up with ways to serve those needs later in the week. To this day, I’m still spiritually-mentoring a young married couple that lived on our block in Denton- who confessed they were having struggles. I was able to counsel them from a Christian perspective, share the Gospel with them, and still to this day call them and ask how their marriage is doing. They’ve just recently gotten plugged into a church in their area. 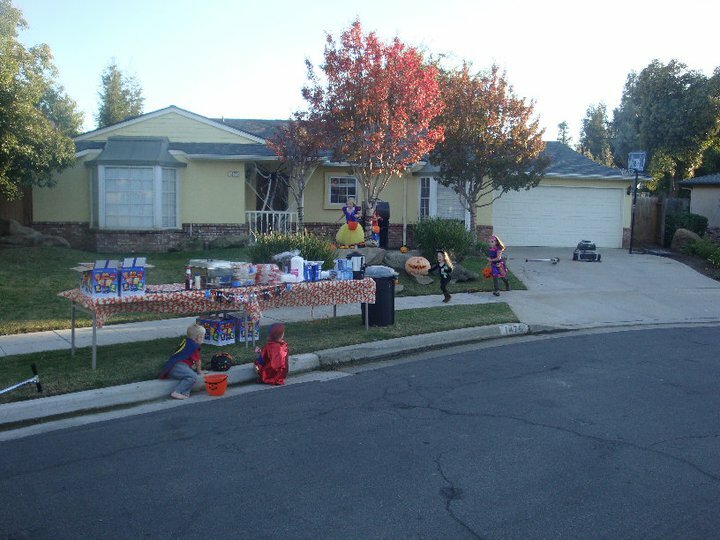 All that started 7 years ago over a cup of hot cocoa sitting out in my front yard with trick-or-treaters cruising by. I think I’ve spoken to this in the pervious answers… but again, intentionality is why we’re doing this… We put this on in order to meet folks, in order to create conversations, in order to find bridges to the Gospel- and have some fun too. That’s just in the nature of who God wired and saved me to be. I’m intentional when I’m on a plane, when I’m at my daughter’s school, with my family, etc… Believe me, there’s many other things I could be doing for myself on Halloween night, but we’ve chosen this particular investment in order to create an environment for lingering conversations and inroads with our neighborhood- SO THAT we can point as many people to Christ as possible. 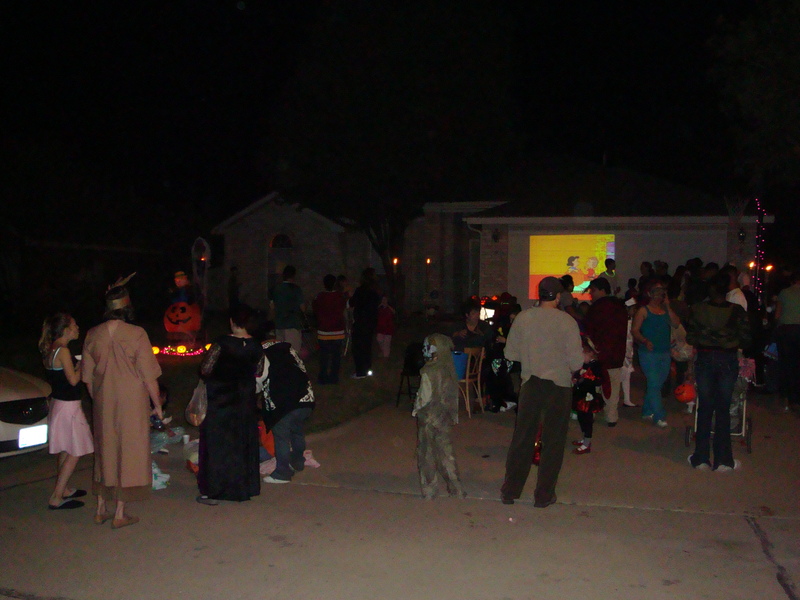 But again, if I were putting this on as a one night event- and banking all my salvific hope on how great of a Gospel “presentation” I could put on- then I’d just call this a “crusade” and bring in some special forces to come help me blitzkrieg our trick-or-treaters with the 4 laws booklet. If someone wants to do that, by all means, I think that’s great. We just simply want get to know people, share Christ with them, and KEEP sharing Christ with them long after Halloween is over. So on one hand I’m not putting on a crusade, but on the other hand I’m also not just throwing a “gathering” for gathering sake. I’m simply trying to steward the Gospel through intentional conversations and service in the lives of those around us. This night (other than it’s creative elements) is really no different than the 500 other things we do throughout the year with relationships we encounter in our neighborhood. 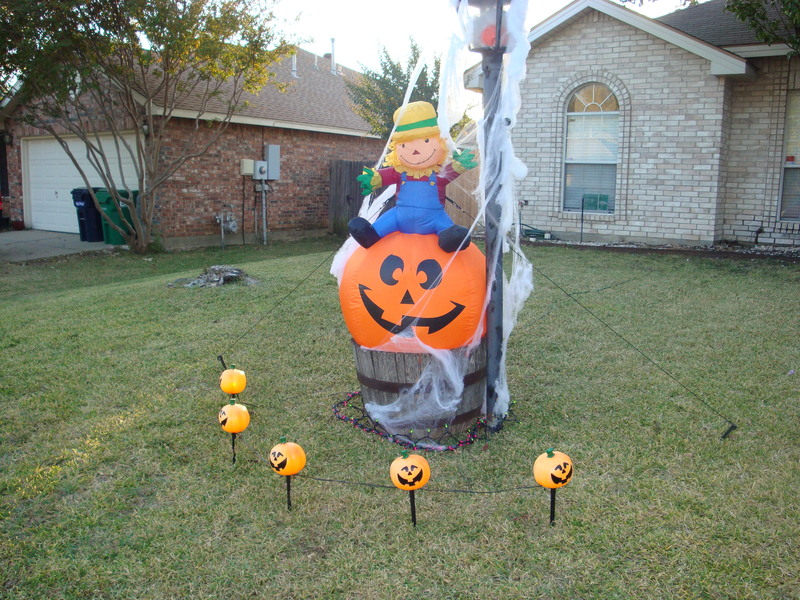 But to answer your question directly… we have no bells or whistles… no inflatable Jesus on a pumpkin… no tracts… no Village Church signs… just conversations… being available and sharing our life & the Gospel with those whom we talk with. I’m probably the wrong guy to ask on that one. I don’t know enough about how All Saints Day was actually lived out in its original context to be able to comment. All I know is that from a Catholic perspective, “All Saints Day” is celebration of a heretical doctrine. If by a Western, Protestant perspective you’re referring to the celebration of our Christian brothers and sisters who have passed– then again, I’m not familiar enough with how the church has celebrated that throughout the centuries. But if I were guessing, I would say probably because we’re in a post-Christendom society now, and celebrations such as those would tend to come on a church by church basis (especially those from a more liturgical culture), rather than on a national basis. It’s a huge part of it, for sure. I was a student pastor for a long time, and still am a pastor now, only in a different role… But my influence (& yours) carries a ton of weight. So we have to be mindful of how we lead in certain areas (but also knowing that you will never, ultimately please everyone with your decisions)…. 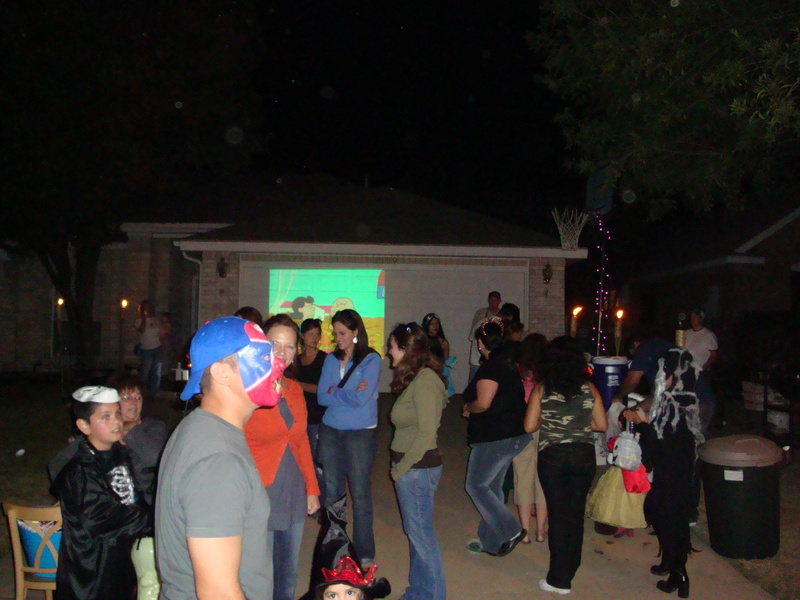 But I’ll tell you this… for years as a college pastor, I would throw Halloween parties (“alternatives”) up at the church… and truthfully, we did a dang good job of it. We’d pull in about 600 students (mostly believers) to come eat some food, dress up, dance, and have fun- all under the roof of our church. And we did it excellently (i.e.- not even cheesy). However, I quit doing that for our ministry, not because it didn’t work- but because it did. I was successful at taking 600 students off the streets, out of their dorms, out of the potential pitfalls of the world on that night- and convinced them to come into the protective environment of our church covering. At the end of the night, I gave myself a pat on the back and felt good that we provided such a popular “alternative”… however, as a pastor, I began to feel a strong conviction that I was doing a much better job of cocooning our Christian’s and protecting them from the world, than I was equipping them and mobilizing them to penetrate the world for the Gospel (John 17:15). 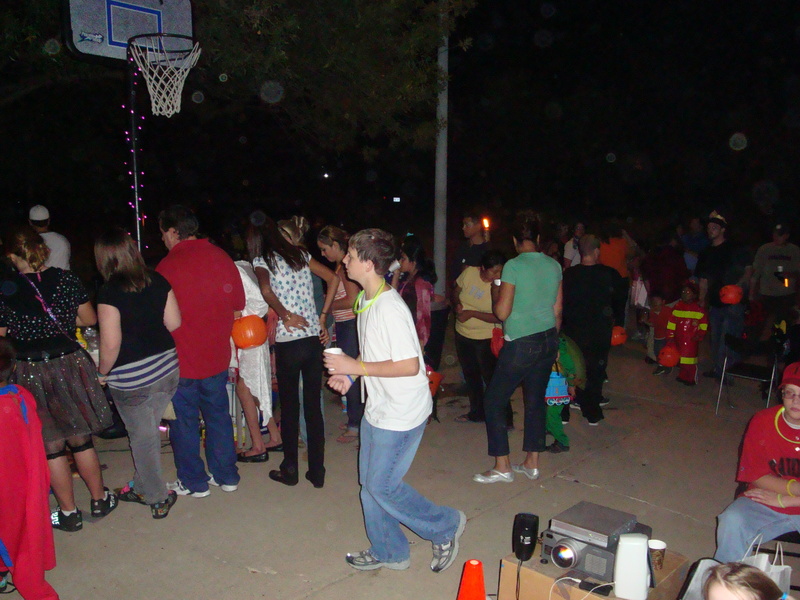 I felt sad that every Halloween I would turn off my lights on the one night of the year the community was coming to my door- and gather all of the Christians to come party together at the church. All the darkness that is in the world that night, and we hid the light under the church roof. Something just didn’t sit well with me on that. So we began to dialogue and intentionally equip them to redeem the night (in their own contexts). It was not easy at all though. Anytime you decide to engage the world, you split hares within the church of how that’s done. Some think you’ll go too far, others think not far enough. Some accuse you of syncretism, others of isolationism. Danged if you do, danged if you don’t. Take a look at Jesus… He has the same accusations (from both sides)… However, as a pastor, I do not like using my position to simply put down rules for folks to follow in all scenarios- and protect and cocoon them at the expense of mission. But I also don’t want to use license to lead people into sin. I want my people to “think”… to “pray”- and ask God how He might want to use them to reach the lost in the areas where they live, work, and play. That requires them to walk by the Spirit. So it’s not always easy… and you’ll always have critics. In all I do, I want to be above reproach, have a clear and sincere conscience, and honor the Lord in obedience to what He has called me to. I recognize I will have to give an account for how I teach and lead (James 3:1)- so believe me, I have wrestled with every possible scenario that you’re potentially wresting with… for both your family and church. I’ve prayed hard through not only Halloween, but Christmas, Easter, my schedule with the church & family time, you name it… I’ve not sought some linear-based system of rules, but to take the Scriptures, submit my life to them, seek godly counsel, and walk daily by the Spirit- asking Him to guide my decisions and pastoral leadership, in such a way that would glorify Him and lead others toward Him. So all that to say, your role adds weight, no doubt… So do justly, love mercy, and walk humbly with God my friend. You must be very mindful of it. 1 Cor. 8 & Romans 14 would implore us to. However, I think these passages have been taken largely out of context with much of the evangelical south and have served to justify forms of legalism and paralyze the local church from any sort of missional engagement with the world… After all, in what case could you NOT justify the accusations of the weaker brother? You could take the argument of the weaker brother and apply it to any situation imaginable… And if we did that with all weaknesses, we’d all be ascetics, living in some cave hiding out all the time for fear that any action we do might offend someone and lead them into sin. I think what Paul had in mind here was the “pride” associated with liberties… of giving no forethought at all to our actions, in such a way that someone with a weaker conscience/understanding of those liberties could be wounded by our arrogance. BUT, having said that, this is a particular night where one does have to be mindful of others here. I know some folks who just can’t fathom the possibility of any good that might come from Halloween. They think of gore, evil, the origin of the Holiday, etc… and will easily condemn any sort of association a Christian would have with that night. At one church I was at, we put up a pumpkin (not even carved) as a centerpiece on one of our tables in the foyer (almost a harvest theme, more than Halloween) – and we immediately got letters from folks saying that we needed to take down the pumpkin or they would leave the church… I mean, really???? So sometimes we need to give up a right for the sake of another… but sometimes we need to lovingly educate the deeper understandings of intentional grace. I think for this given night, depending upon where one is coming from (perspective or background), it becomes a matter of conscience. James wrote that “he who knows the right thing to do, but does not do it, TO HIM it becomes sin.” (James 4:17). I don’t believe I’m violating any commandments on this night. 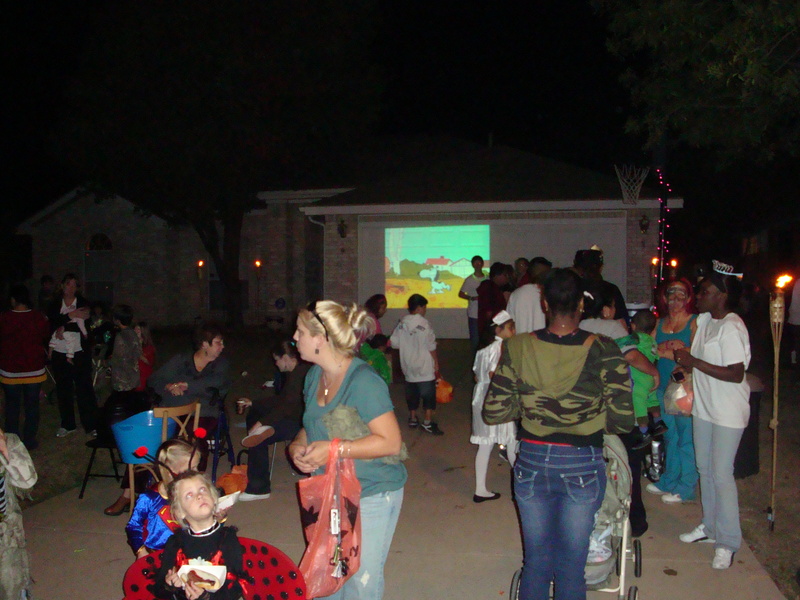 Our family doesn’t celebrate evil, doesn’t worship the dead, doesn’t promote gore, etc… We dress up in silly costumes, go get some candy, cookout in our front yard, get to know people who come by, and take advantage of open doors to share Christ in an intentional way. If that is violating biblical Christianity, we’re in trouble. So for us, it is in no way sin. BUT… if someone has a serious problem with all things Halloween, and is unable to pull this off without violating their conscience or convictions, I would encourage them NOT to do what we do. Just as I would tell an alcoholic to stay out of bars if it might lead them to stumble. Again, the key context with 1 Cor. 8 and the like, is “pride”- being arrogant in your liberties so as not to wound a younger brother in the faith. 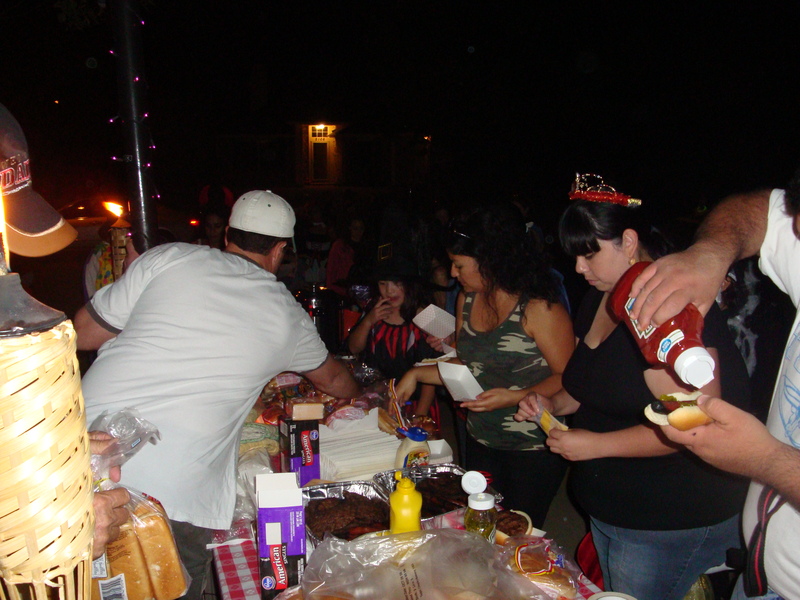 My family and I try to walk in humility with this as best we can… What I’ve posted on this blog is simply one opportunity amongst many for people to think intentionally about how to reach their neighborhood and community around them, on a night that brings with it much confusion and fear in the Christian community. Each person must pray through what the Lord would have them do, in order to be missionally faithful with their neighbors, but in a way that does not violate their own conscience. Some people hate this night because of it’s associations… I get that. And as I mentioned in an earlier comment, you have three responses to the worldy actions around us… Adopt, Adapt, or Reject. For the evangelical south, it’s much easier and more comfortable to just pick one of those three and use it for all scenarios- rather than think carefully through our own contexts, and understand that one particular opportunity might actually call for us to use all three actions at the same time. Not all the traditions and customs that our “world” has thought up are bad. Many are, but not everything. My family and I have taken what could be a dark night in our culture and redeemed it… by ‘adopting’ what is fun and good and enjoyable, ‘adapting’ aspects of the tradition that are man-focused and make them Christ-focused, and flat out ‘rejecting’ that which glorifies the flesh or evil. Anyway, just my two cents bro. I pray the Lord gives you wisdom in your context.